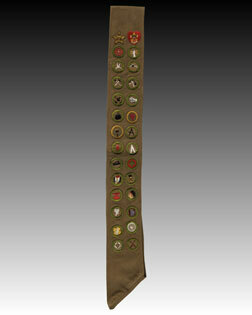 Boy Scouts of America Merit Badge sash owned and worn by Gerald R. Ford as a scout. It contains 26 merit badges and two rank advancements. Dates to the 1920s.